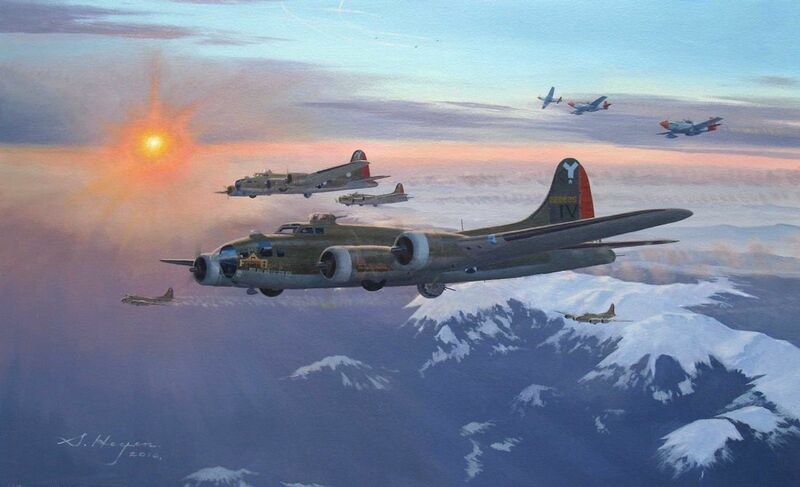 Superb original oil painting on canvas showing a flight of B-17 fortresses out of Tortorella, Italy, October 1944. B-17F 'Fort Alamo ll' of the 840th BS/483rd BG is shown in the forground with Redtail Mustangs escorting in the background. Image dimensions: 28" x 17"